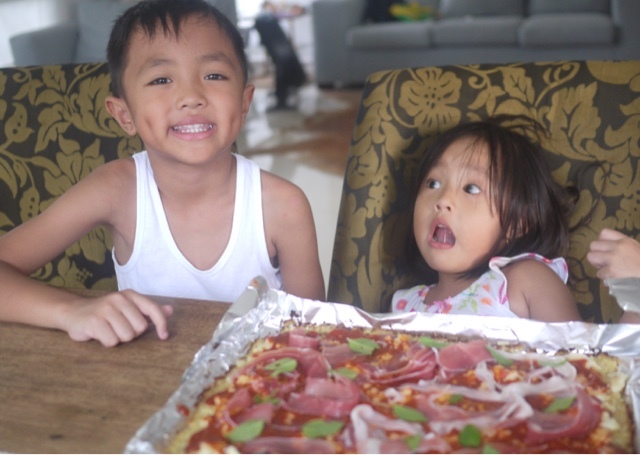 I’ve been trying to get my kids to eat healthier and more involved in the kitchen (they love watching Junior Masterchef). 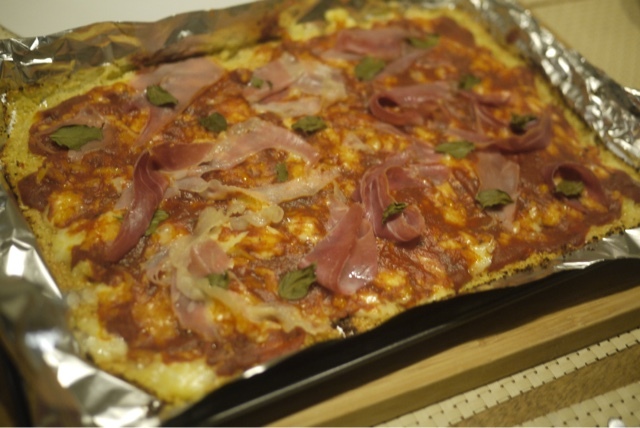 I think I hit two birds with one stone with this cauli pizza recipe. 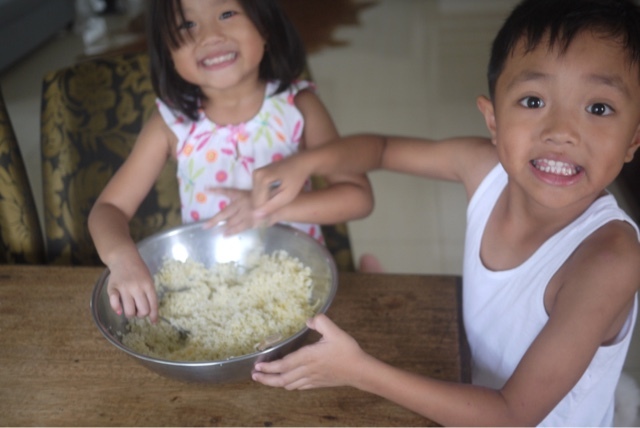 It’s fun and easy to make with kids and I learned that getting them involved in the cooking process ups the chances of them actually eating what we make. 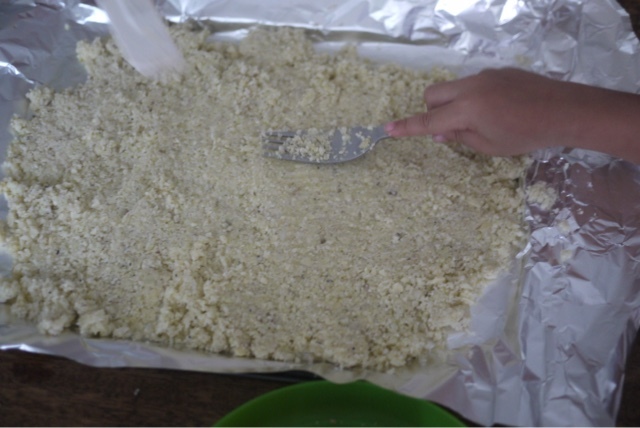 Remove the crust from the oven, sprinkle with the mozzarella and spread the marinara over the top (this keeps the crust from becoming soggy and the cheese from sliding). Scatter the prosciutto across the top and sprinkle with a good pinch of crushed red pepper and basil. Slide back onto the pizza stone and bake until bubbly with browned spots, about 4 minutes. Enjoy! 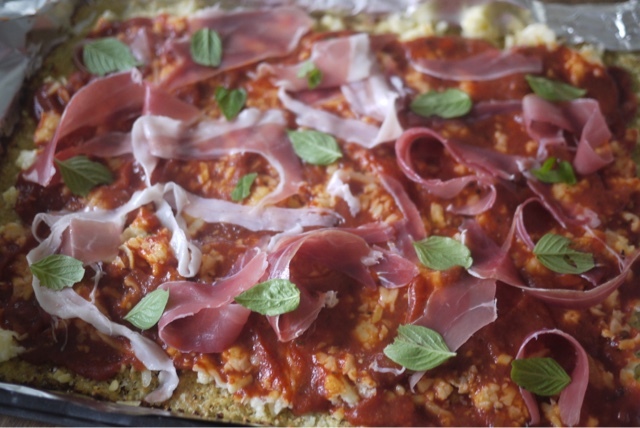 Do you have any cauli pizza recipes you’d want to share?